Broken tooth? Missing tooth? Missing multiple teeth? Same-day dental implants at our office can revive your smile in less time than ever. Dental implants look and feel like your natural teeth. They are permanently attached, allowing you to eat, chew and talk with confidence. With a 95% success rate, it’s no wonder dental implants are becoming THE solution to replacing missing teeth. If the need arises to have dental implants, then look no further than Implant & Restorative Dentistry, and exceptional center in SW Florida. Losing teeth is never a pleasure but when the time comes, the team at Implant Dentistry is here to ensure that your dental implants experience is better than you ever imagined possible. Our dental implants, made with medical grade titanium alloy, can help restore your radiant smile and help you rediscover the confidence that comes with a gleaming set of teeth. Deciding to get dental implants or have any kind of cosmetic dentistry can be a daunting prospect. We offer a unique and long-lasting alternative to dental bridges or partial dentures, our dental implants can restore your missing teeth, permanently. 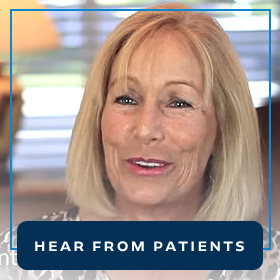 Not only do Dr. Holtan & Dr. Molzan offer sterling service assisted by a team of experts, these natural looking dental implants have revolutionized full mouth reconstruction and changed the way we treat patients. In a deft combination of art and science, Dr. Matthew Holtan, Dr. Arthur Molzan, and the Implant Dentistry team have reinvented the dental implants procedure. In SW Florida, you will not find an office more dedicated to client happiness and committed to excellent cosmetic dentistry. As functional as they are aesthetically pleasing, our dental implants will befitted by experts who will have you ready to eat, drink and smile a radiant smile in no time. 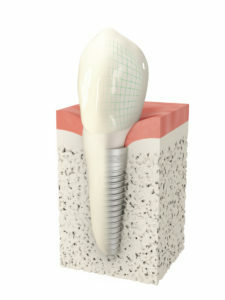 So when you need dental implants, make Implant & Restorative Dentistry your office of choice. Dr. Holtan & Dr. Molzan will only ever use the best materials, the finest techniques and most innovative methods to make your dental implants look stunning. From dental implants to full mouth reconstruction, Implant Dentistry is the finest dental offices in SW Florida. Call us today for a professional consultation and all you need to know about our dental implants service in Naples or Fort Myers/Cape Coral.